Researchers from the University of Utah demonstrated that organic-inorganic hybrid perovskites are a promising material class for spintronics applications. These perovskite materials feature two contradictory properties - easily controlled electron spin and long spin lifetime (up to a nanosecond). This is a unique combination of two highly sought after properties for spintronics devices. The specific material used in this research is the hybrid perovskite methyl-ammonium lead iodine (CH3NH3PbI3). 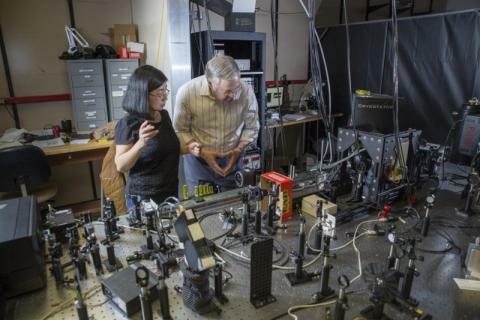 In their study, a thin film of this material was placed in front of an ultrafast laser that was used to set the electron's spin orientation and also observe the spin precession.